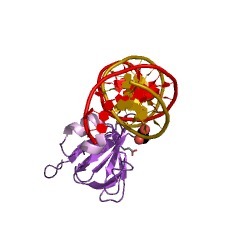 This domain is found in a variety of bacterial transcriptional regulators. 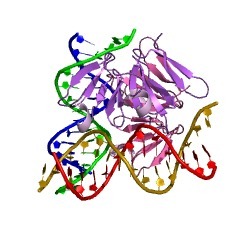 The domain binds to a specific DNA sequence pattern. 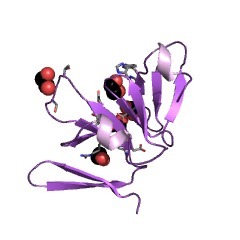 The LytTR domain is a DNA-binding, potential winged helix-turn-helix (wHTH) domain of about 100 amino acids, present in bacterial transcriptional regulators of the algR/agrA/lytR family. It is named after Bacillus subtilis LytT and Staphylococcus aureus lytR response regulators, involved in the regulation of cell autolysis [(PUBMED:12034833)]. 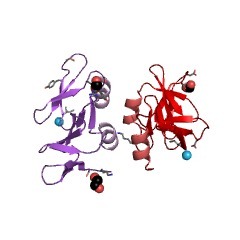 The LytTR domain is found in several bacterial cytoplasmic proteins that regulate the production of important virulence factors, like extracellular polysaccharides, toxins and bacteriocins. These response regulators of the microbial two-component signal transduction systems contain N-terminal cheY-like domains and the LytTR domain in the C-terminal part is expected to bind to specific DNA sequences in the upstream regions of target genes [(PUBMED:12367524)]. 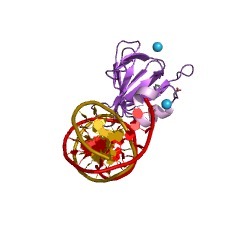 Other domains found N-terminally of LytTR are an ATP-binding domain of ABC-type transporter family and a PAS domain. Besides these cytoplasmic proteins, LytTR also occurs in membrane-bound bacterial proteins. 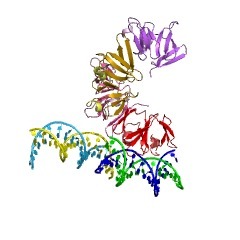 The N-terminal parts of these proteins contain three to eight predicted transmembrane segments or the transmembrane MHYT domain. 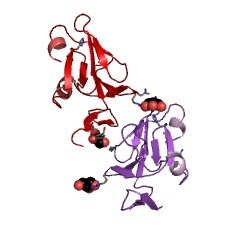 According to secondary structure predictions the LytTR domain consists of four beta-strands and three alpha-helices. 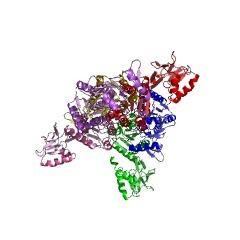 The structure is predicted to form a novel type of DNA-binding domain, showing similarity to the 'winged HTH' or 'winged helix' proteins [(PUBMED:12034833), (PUBMED:12367524)]. There are 46828 LytTR domains in 46828 proteins in SMART's nrdb database. Taxonomic distribution of proteins containing LytTR domain. This tree includes only several representative species. The complete taxonomic breakdown of all proteins with LytTR domain is also avaliable. Click on the protein counts, or double click on taxonomic names to display all proteins containing LytTR domain in the selected taxonomic class. A novel type of conserved DNA-binding domain in the transcriptionalregulators of the AlgR/AgrA/LytR family. Sequence analysis of bacterial genomes revealed a novel DNA-bindingdomain. This domain is found in several response regulators of thetwo-component signal transduction system, such as Pseudomonas aeruginosaAlgR, involved in the regulation of alginate biosynthesis and in thepathogenesis of cystic fibrosis; Clostridium perfringens VirR, a regulatorof virulence factors, and in several regulators of bacteriocinbiosynthesis, previously unified in the AgrA/ComE family. 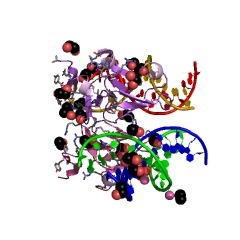 Most of thetranscriptional regulators that contain this DNA-binding domain areinvolved in biosynthesis of extracellular polysaccharides, fimbriation,expression of exoproteins, including toxins, and quorum sensing. We referto it as the LytTR ('litter') domain, after Bacillus subtilis LytT andStaphylococcus aureus LytR response regulators, involved in regulation ofcell autolysis. In addition to response regulators, the LytTR domain isfound in combination with MHYT, PAS and other sensor domains. This information is based on mapping of SMART genomic protein database to KEGG orthologous groups. Percentage points are related to the number of proteins with LytTR domain which could be assigned to a KEGG orthologous group, and not all proteins containing LytTR domain. Please note that proteins can be included in multiple pathways, ie. the numbers above will not always add up to 100%. 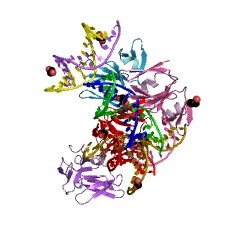 3d6w LytTr DNA-binding domain of putative methyl-accepting/DNA response regulator from Bacillus cereus. 4cbv X-ray structure of full-length ComE from Streptococcus pneumoniae.